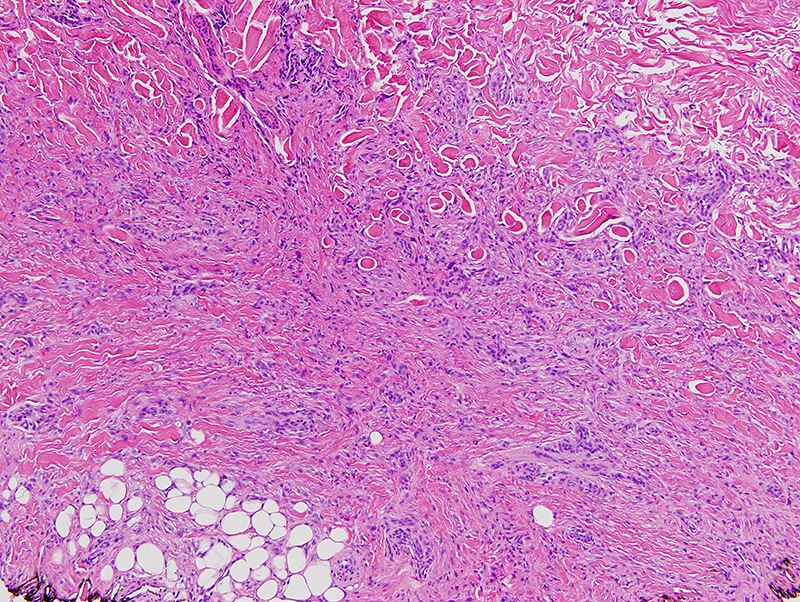 Deep penetrating dermatofibroma is a histologically distinctive variant of dermatofibroma that generally occurs on the lower extremities of adults. 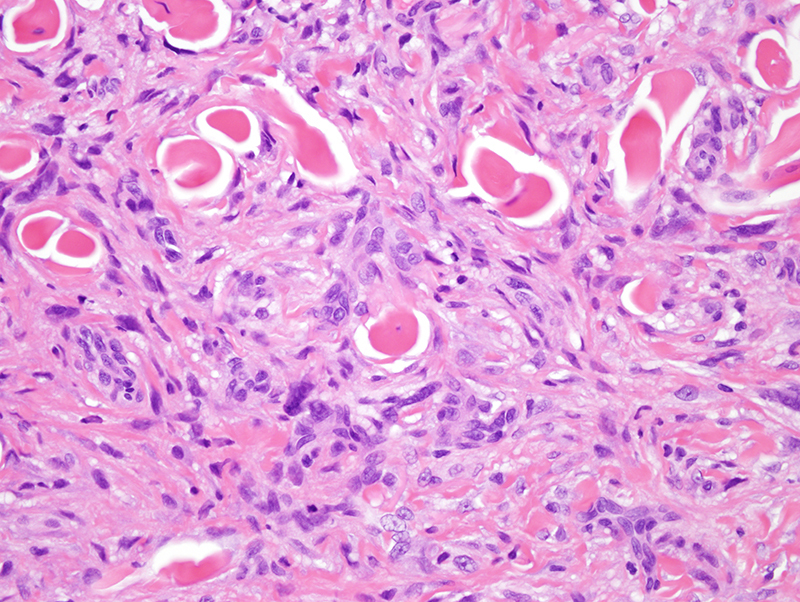 The tumor penetrates into the subcutis extending along the septae. 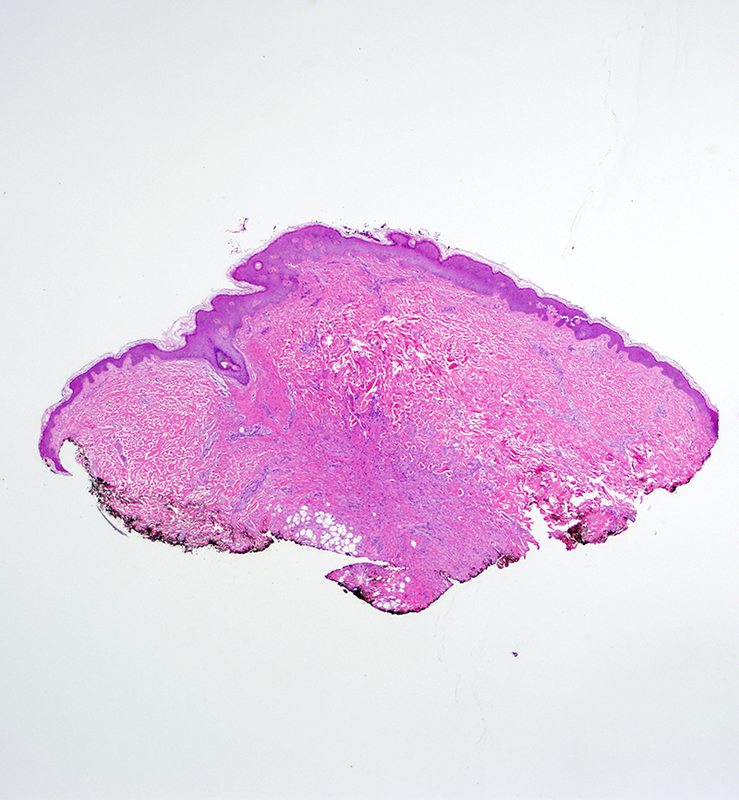 The clinicopathological distinction between deep penetrating dermatofibroma extending into the subcutis and dermatofibrosarcoma protuberans (DFSP) may be challenging. 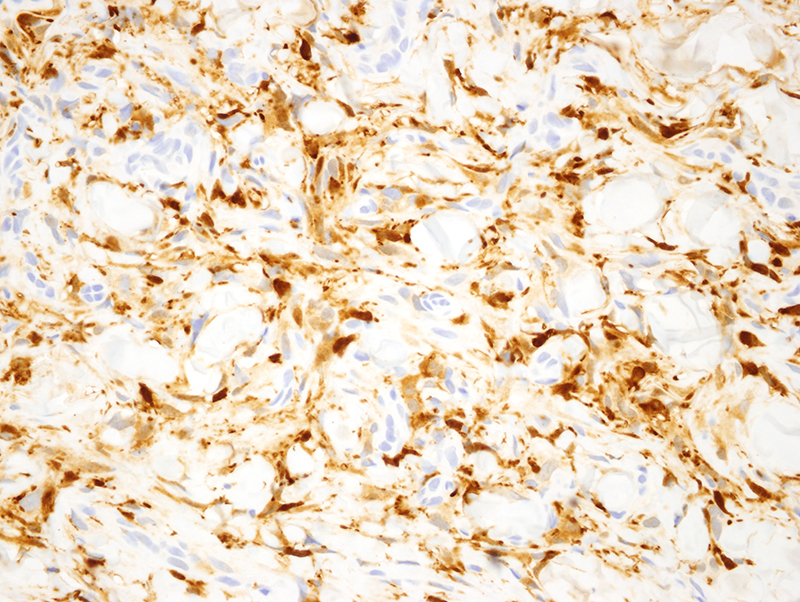 Immunohistochemically, the tumor cells of dermatofibroma stain for Factor XIIIa and are negative for CD34. 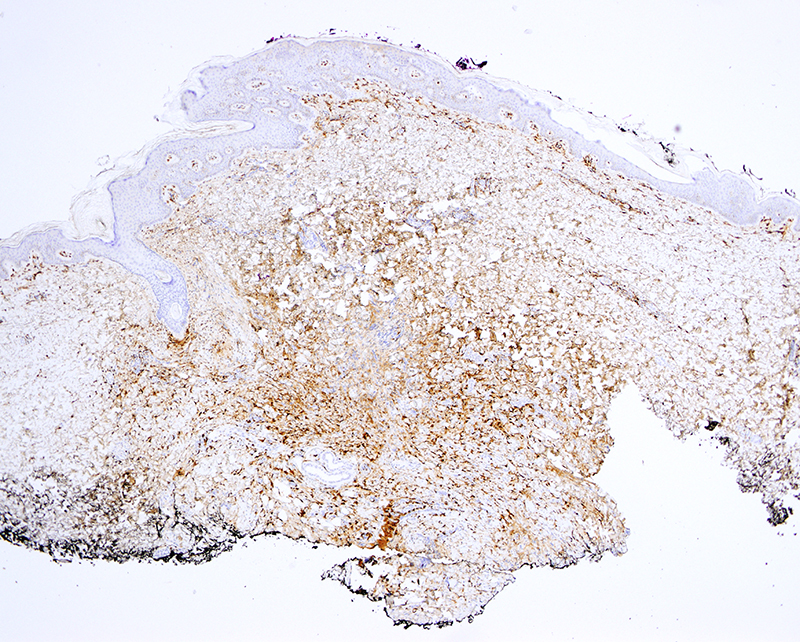 DFSP shows the opposite staining profile.